School of Architecture Assistant Professor Adjunct Billie Faircloth will receive a 2017 Women in Architecture Award from Architectural Record on October 25, 2017 at a reception in New York City. The Women in Architecture Awards recognize pioneering professionals and promotes women’s design leadership. 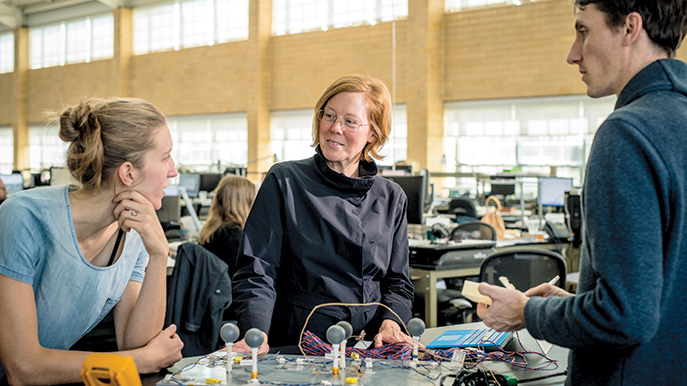 Professor Faircloth will receive the Innovator Award honoring an architect who has made a mark in innovative design, materials or building type. As a practitioner, educator and partner at KieranTimberlake, Faircloth uses multidisciplinary research and technology to inform design. She also lectures at the University of Pennsylvania’s School of Design and the Harvard Graduate School of Design. To view the full list of recipients of the 2017 Women in Architecture Awards, click here.